WTF Are You Reading? : Teaser Tuesday #13...You Know You Want It!! she'd have to walk around in a suit of armor. And how did she and Asher live? slept in his coffin down in the basement?" I LOVE! XD Haha, awesome teaser! 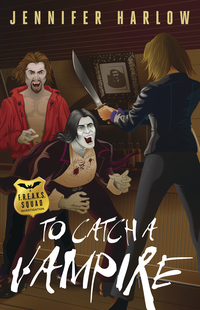 I'm pretty resistant towards vampire books, but if it's that funny, I so want to read it! Very interesting teaser. I love vampire books. I'll be adding this! Thanks for sharing and visiting my blog.